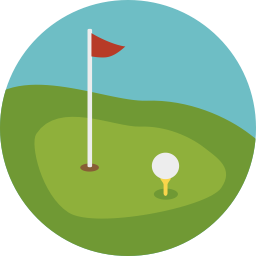 The objective of golf putter is rather straight forward: finish up the game by putting the golf ball into the hole. Blade Putters: The smaller head style is the most common, and often deemed as the traditional putter shape by purists. If you are fairly accurate in both direction and distance, a blade-style putter will enhance your accuracy, as well as giving you a better sense of satisfaction. 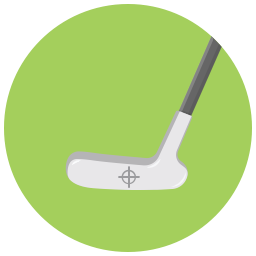 Mallet Putters: Mallet-style putters are significantly larger compared to blade-style, and it has become more popular nowadays for all skill levels. Mallet putters, as you may imagine, offer better forgiveness due to their larger and heavier head. The current technology developments for putters are based on two main trends in the golf market: adjustability and center of gravity. There is also one more key elements of putter improvements today: the moment of inertia. Blade-style putters generally have the center of gravity closer to the face, increasing control and feel. Mallet-style putters, on the other hand, have a deeper center of gravity, increasing forgiveness and launch angle. In general, deeper center of gravity promotes launch angle, while lower center of gravity promotes forward roll. Newer putters also offer some form of adjustability, mainly involving adjustable weight to adjust the center of gravity. As mentioned, putters involve Moment of Inertia (M.O.I.) as the emphasis in their development. M.O.I. refers to the ability of the putter to resist rotation (twist). The higher the M.O.I., the more stable and consistent the putter will be, especially for mishits. Typically, a blade putter has 3000 g/cm2 M.O.I., while a mallet putter has around 4000 g/cm2 M.O.I.. Other designs like a square mallet and others can even reach 6000 g/cm2. However, the higher the M.O.I. the more it compromises the feel of the putter. Shaft Length: The length of the shaft will dictate your posture and your field of vision. Head Type: Find one that will suit your swing arc and your play style's strengths and weaknesses. Feel and Preferences: Putting, in the end, is a matter of confidence. Hence, you will need to like the shape of your putter and its overall visual appeal. Weight and feel are also important, and you should find one that suits your preference. We will soon be reviewing many golf putter models and will help you pick the best one for your playstyle.